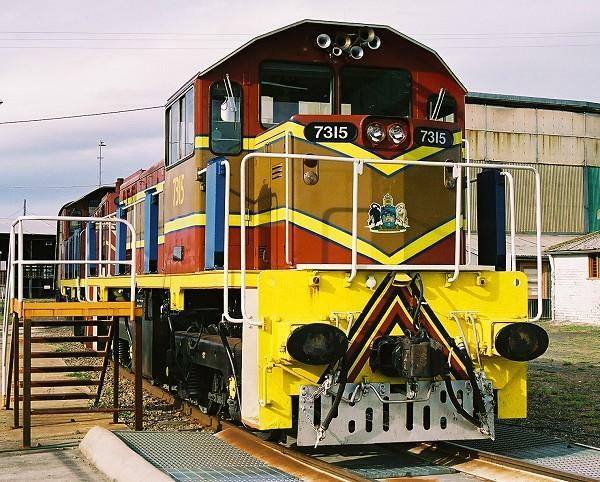 The 73 class was built by Walkers Ltd at Maryborough, QLD. 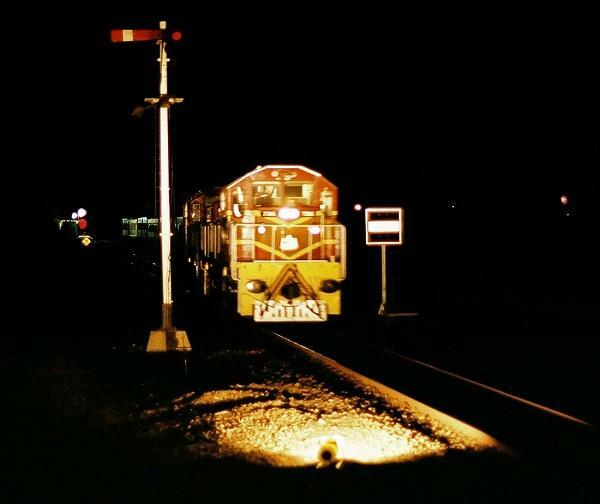 The first unit was in service on October 5th, 1970. There were 50 units in the class, numbered 7301-7350. They have an 8 cylinder turbo-supercharged 4 stroke Caterpillar D379 series B engine. 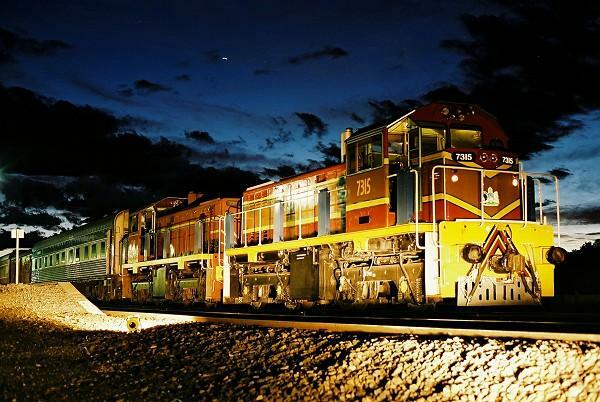 They weigh 49.8 tonnes and have 650 HP available for traction. 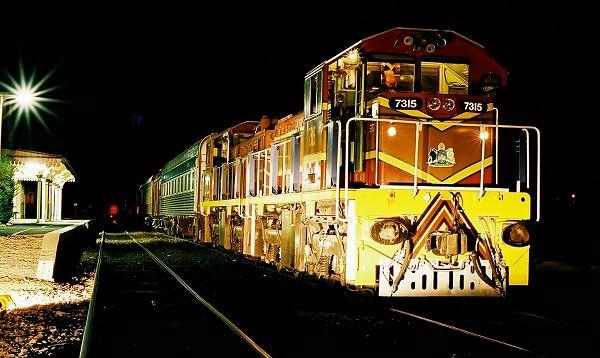 7319 & 1210 climb away from Hume with a Father's Day special on September 1st, 2002. 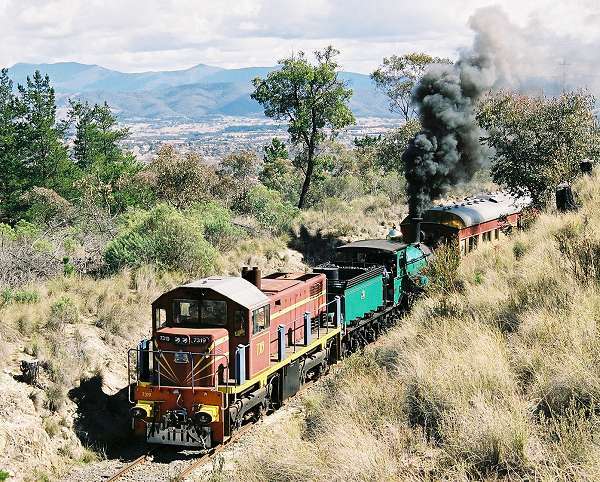 7319 & 1210 climb into Tuggeranong with a Father's Day special on September 1st, 2002. 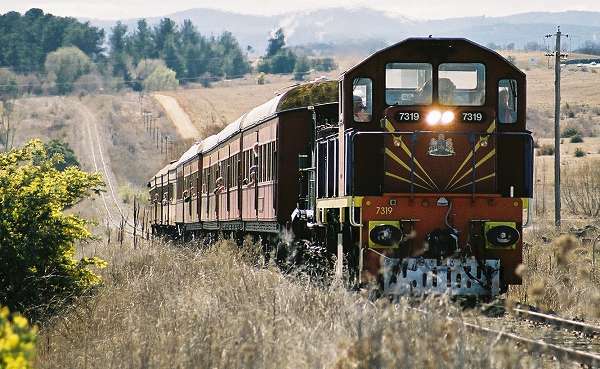 7319 & 1210 round the Tuggeranong Valley with a Father's Day special on September 1st, 2002. 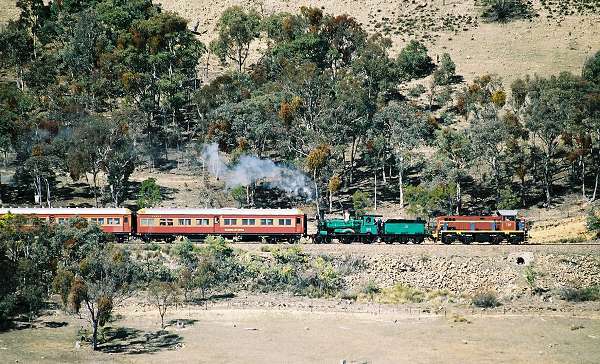 7319 & 1210 climb Fyshwick bank with a Father's Day special on September 1st, 2002. 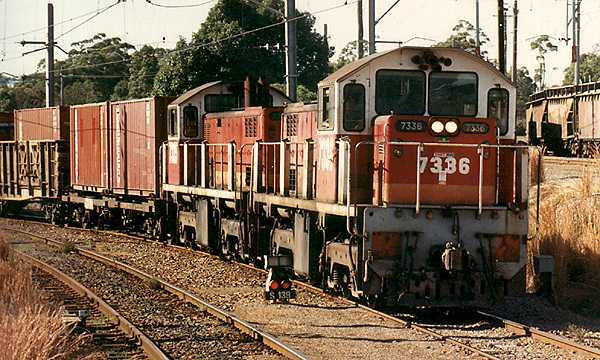 7315 & 7319 haul SL82 to Goulburn at Burbong bridge on February 8th, 2002. 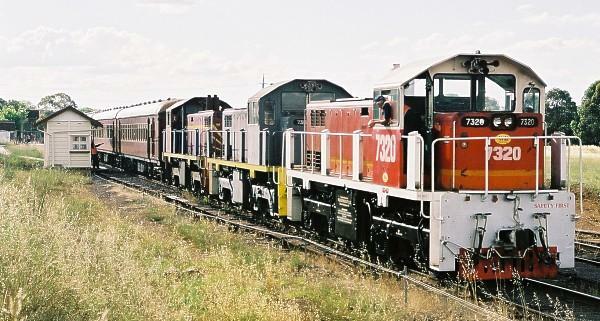 7315 & 7319 haul SL82 to Goulburn at Bungendore on February 8th, 2002. 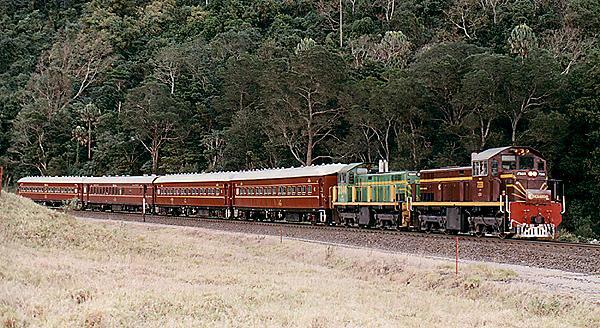 7315 & 7319 haul SL82 to Goulburn at Mt Fairy on February 8th, 2002. 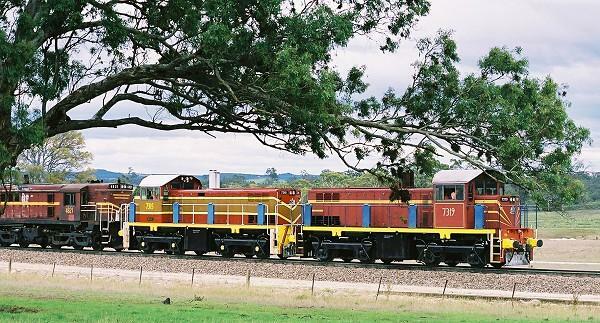 7315 & 7319 haul SL82 to Goulburn at Tarago on February 8th, 2002. 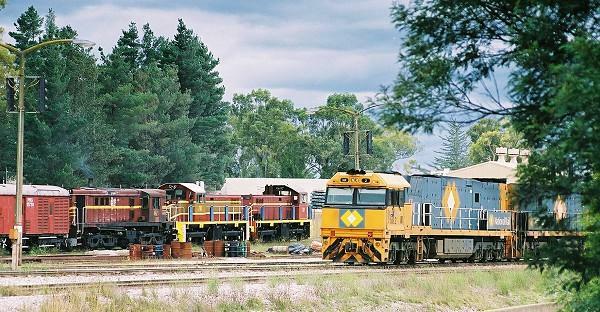 7315 & 7319 haul SL82 to Goulburn crossing SP23 at Tarago on February 8th, 2002. 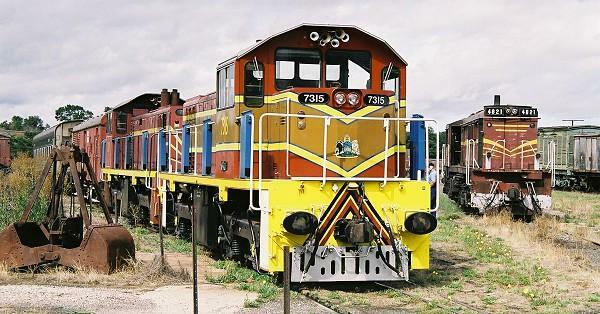 7315 & 7319 with SL82 stand at Goulburn on February 8th, 2002. 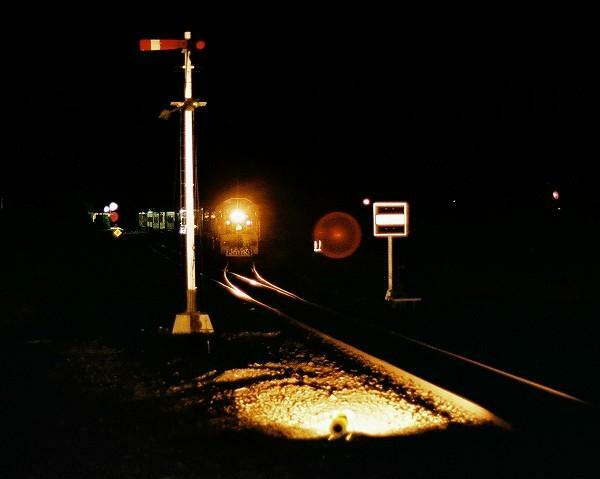 S17 passes 7344 and 7304 in the up siding at Sutherland on February 6th, 1990. 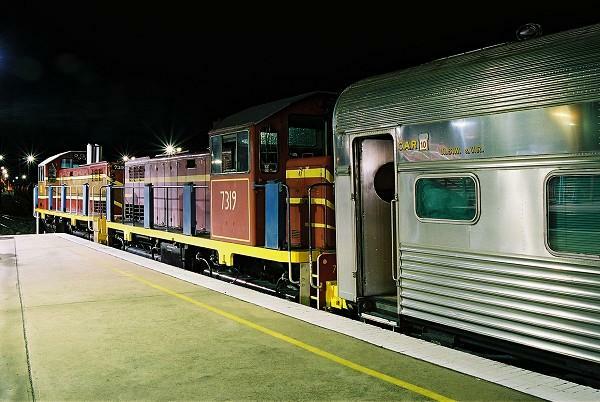 7319 backs towards the turntable at Queanbeyan with the QHOC Observation Car. 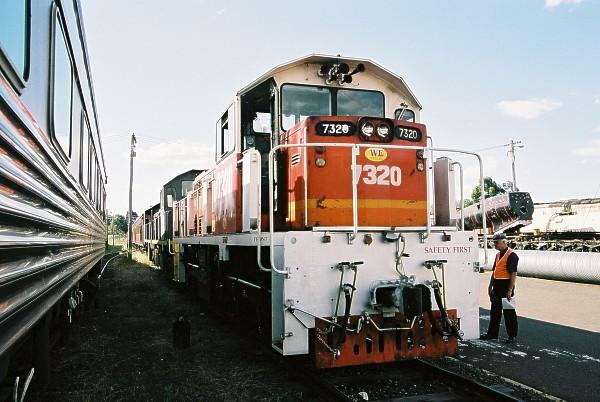 7319 attaches to the QHOC Observation Car on the turntable at Queanbeyan. 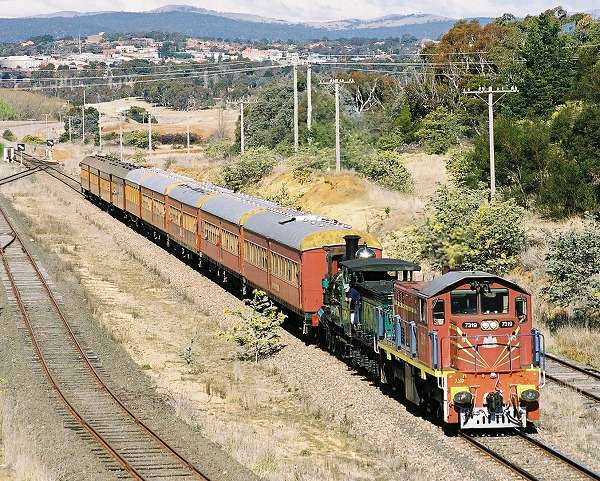 7319 passes the up home signal at Queanbeyan after turning the QHOC Observation Car on its return to Canberra. 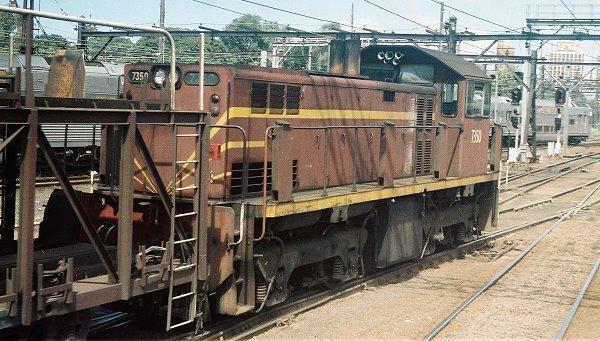 7350 pulls out of the MotoRail dock during a stint as the Sydney Yard shunter in 1990. 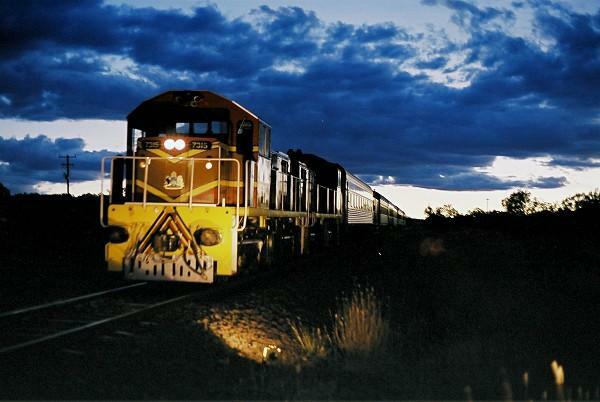 7350 shunts the MotoRail off the Indian Pacific in 1990. 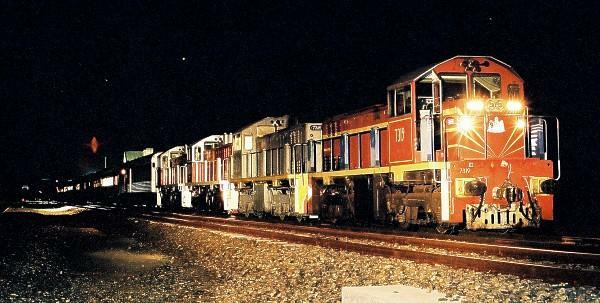 7320, 7315 and 7319 shunt a train at the Canberra Railway Museum on December 15th, 2000. 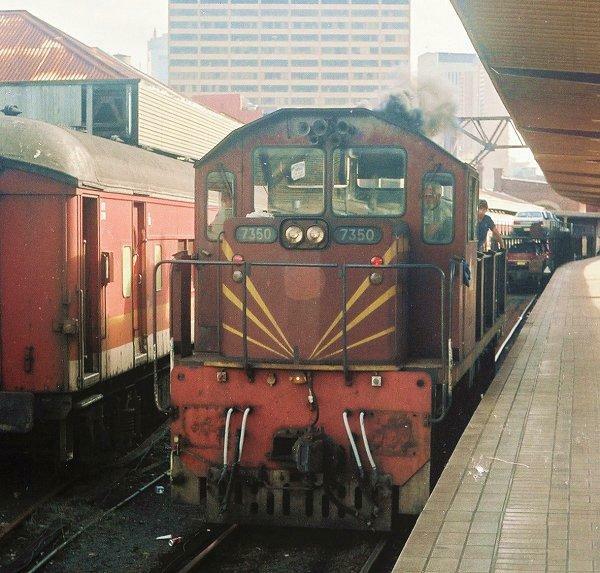 7320, 7315 and 7319 shunt a train into Canberra station on December 15th, 2000. 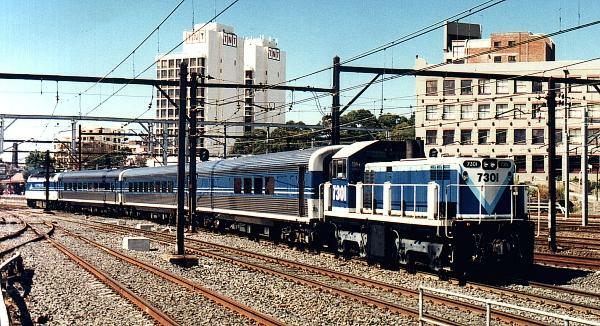 7320, 7324, 7315 and 7319 shunt a train into Canberra station on December 16th, 2000. 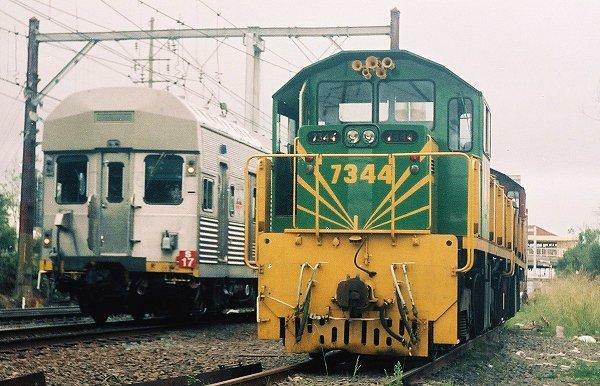 7319, 7315, 7324 and 7320 stand at Tarago on December 16th, 2000. 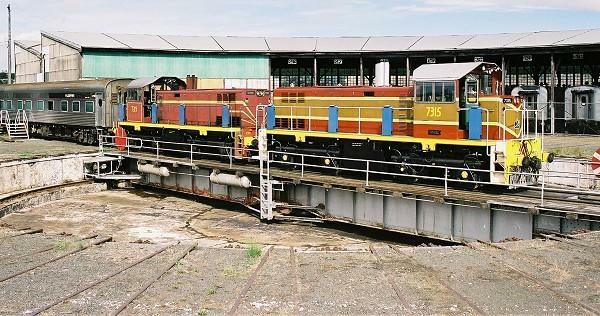 7315 & 7319 at Goulburn Roundhouse on February 9th, 2002. 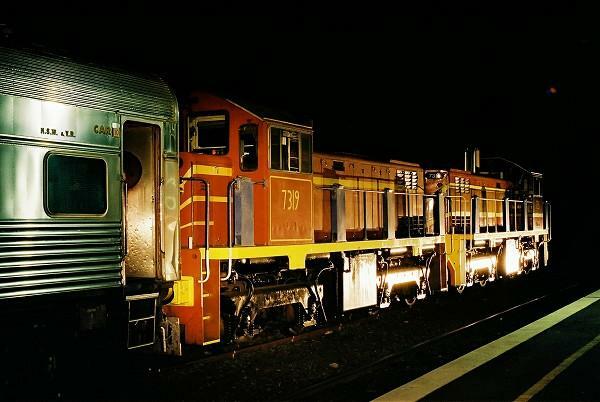 7315, 7319 & 4821 prepare to depart Goulburn Roundhouse on February 9th, 2002. 7319, 7315 & 4821 run around at Medway Junction on February 9th, 2002. 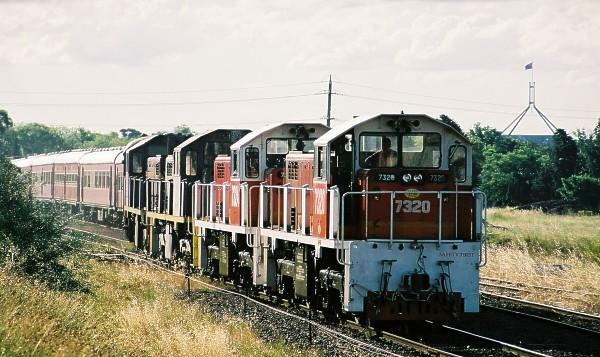 7319, 7315 & 4821 arrive at Medway Quarry on February 9th, 2002. 7319, 7315 & 4821 arrive as NR2 & NR10 depart on 7QW2 at Medway Quarry on February 9th, 2002. 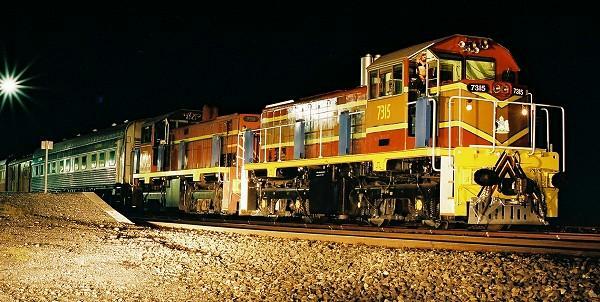 7336 and 7335 lead a trip goods into Sulphide Junction from the north on May 5th, 1990. 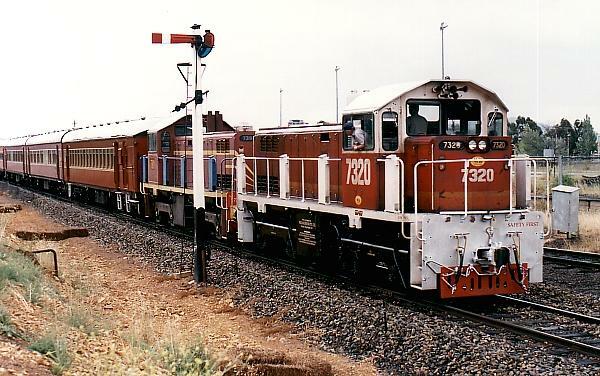 7344 (Dennis) and 7333 (Ron) haul CS11, the Cockatoo Run up the 1 in 30 through Dombarton on July 7th, 1996. 7333 (Ron) and 7344 (Dennis) drop down the 1 in 30 through Dombarton on CS12, the Cockatoo Run on July 7th, 1996. 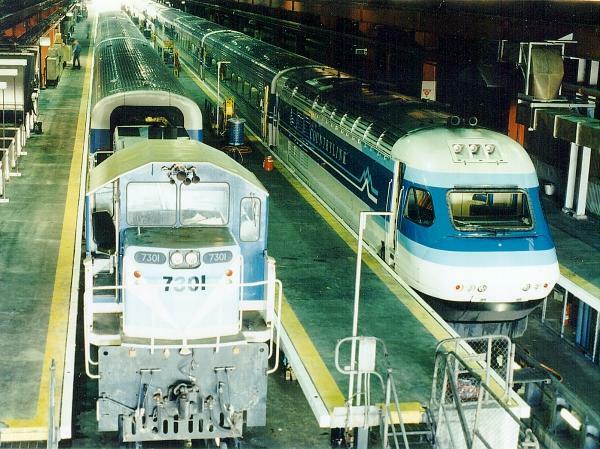 7301 and XP2012 stand side by side inside the XPT Service Centre at Meeks Road. August 25th, 1995. 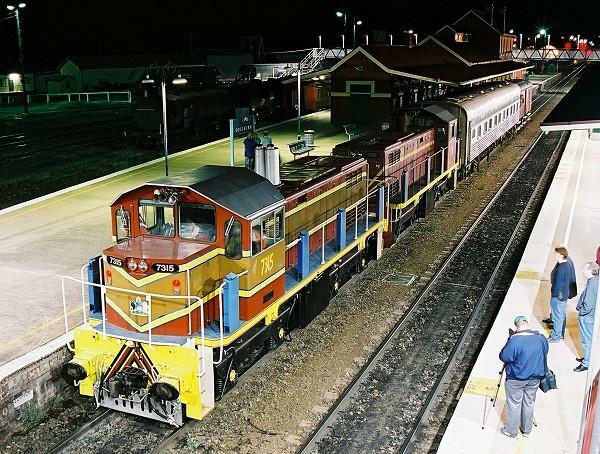 7301 takes some empty cars off a trial trip from Mortuary Statrion back to Meeks Road.